Staying on top of one project in tough business world is challenging. Keeping up with several complex projects can be impossible without a project management system you can count on. What you need is a powerful project management system capable of keeping you up to date and in charge. Microsoft Project 2019 has arrived, now with enhancements and better tools. Don’t let your projects get the best of you. Let Microsoft Project help you manage it all. 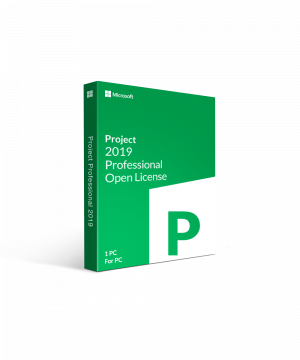 Project 2019 is Microsoft’s project management software. Project 2019 lets your project managers build projects from the ground up, assign resources and tasks, track a project’s progress, and manage all aspects of the project. MS Project 2019 is more advanced and includes better features, bringing project management to the forefront of your business. Managing budget, keep up with finances, and tracking task schedules and completion time takes a serious project management system and it’s all in Project 2019. 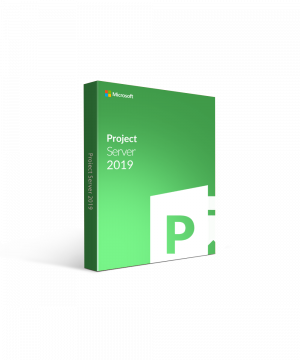 Microsoft Project 2019 offers new tools for better performance. With Project 2019’s new features and enhancements, you can get more done with less effort and more productivity. Keep your projects in order. New project planning features let you manage a project from start to finish. Manage budgets and tasks easily. Keep your projects on time and under budget. Create reports for tracking budgets and progress. The Standard edition is perfect for small to midsize projects; the professional edition brings you more features for complex projects. Microsoft Project 2019 lets you plan strategies and place resources where you want them. Track your success. Lets you create budgets, manage your workload, employees, and resources. Assign resources to tasks and let Microsoft Project calculate the cost/work times the rate. Works with Microsoft Office Project Server and Microsoft Project Web Access. Project server stores Project data in a central database. Project Web Access allows users to display and update data online. Web Access allows authorized users to access a Project Server database across the Internet. With web access, you get access to timesheets, graphical analysis of resource workloads, and a host of administrative tools to make project management easier and more efficient than ever. Create custom objects such as calendars, tables, filters and fields; store in an enterprise global database all users can share. Better project management. Project 2019 lets you evaluate and optimize your project portfolio to prioritize initiatives with business objectives. Get the work done the way you need to get it done. Close integration with Power BI gives you advanced analytics so you are always on top of everything you need to make informed decisions. Fine-tuned resource management in Project 2019 lets you get insight into how valuable resources are used. Collaborate with new integrated tools. The simplified task and time management allows your teams to apply updates from anywhere. New features and improvements in Microsoft Project 2019 include enhancements for better performance, reporting, scalability, and accessibility. Enhanced cloud integration with collaboration capability built around SharePoint Server 2019. With advanced project management tools and enhanced features, Microsoft Project 2019 is designed to keep your projects on task and keep your budget intact. 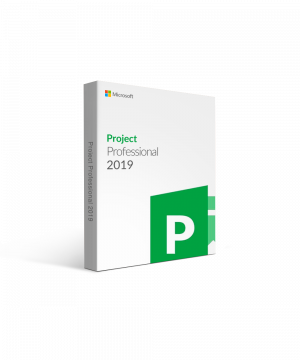 Microsoft Project 2019 is project management on a whole different level. OS: Windows 10. Office 2019 is not supported on Windows 7 or Windows 8.